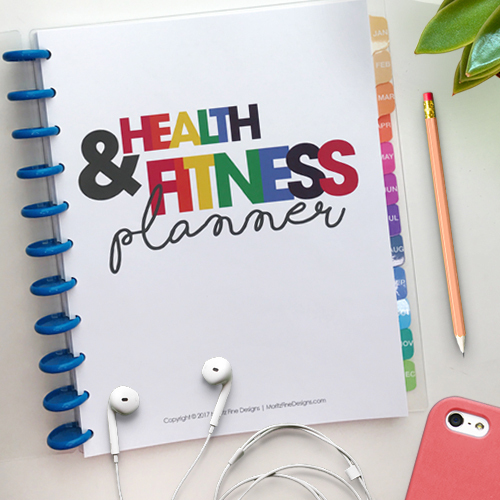 The Health & Fitness Planner is perfect way to help anyone keep track all things food and fitness related in order to maintain, meet or exceed their goals. A total or 19 printable pages are included in the digital file (size 8.5″x11″), see details of each page below in the product description. This is a digital, printable pdf file only. No physical product will be sent to you. You will need a PDF reader (Adobe can be downloaded for free from their website) for viewing and printing the file. 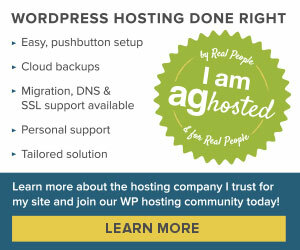 The digital file will be emailed to you after purchase. All digital file purchases are final. Please do not share or copy these documents or files. 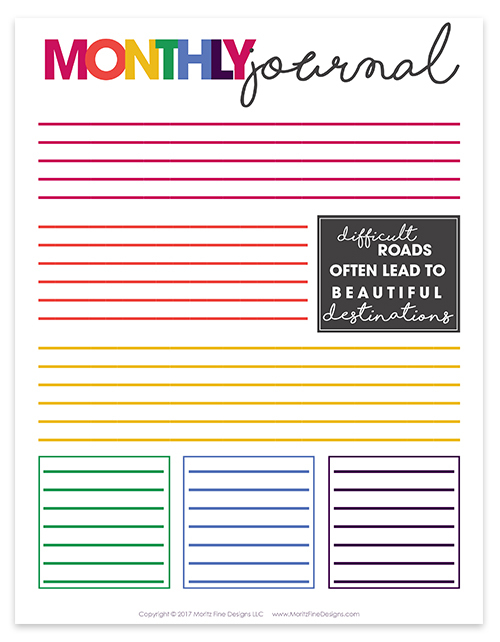 All files are for personal use only, and all copyrights remain with Moritz Fine Designs, LLC. YEARLY GOALS RECORD: There is a reason you are on this journey. 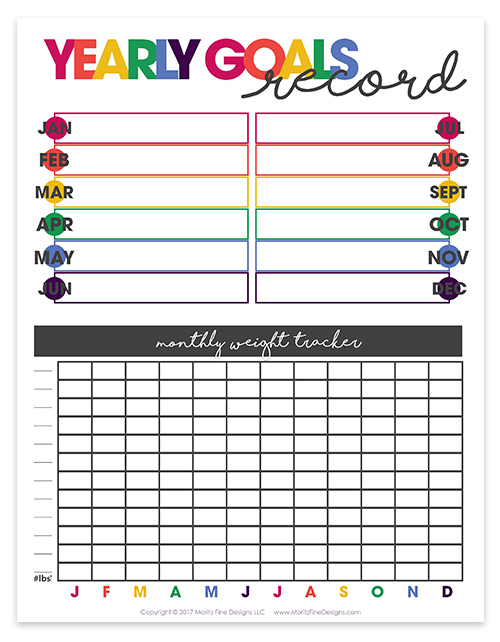 The Yearly Goals Record allow you to set and track goals for every month of the year as well as track monthly weight. 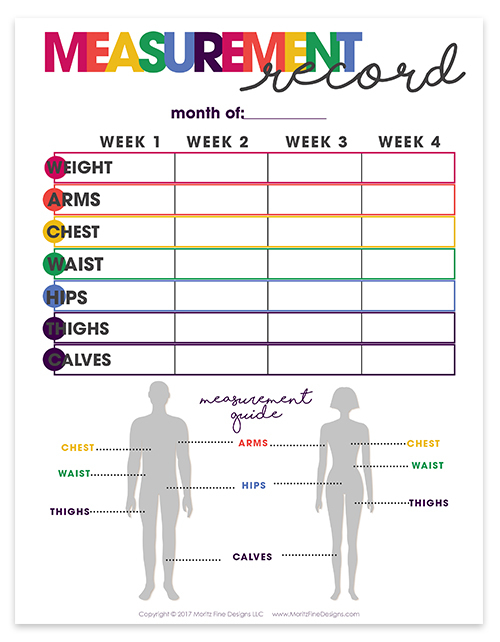 MEASUREMENT RECORD: A monthly record allowing space to weekly record measurements of your weight, arms, chest, waist, hips, thighs and calves. 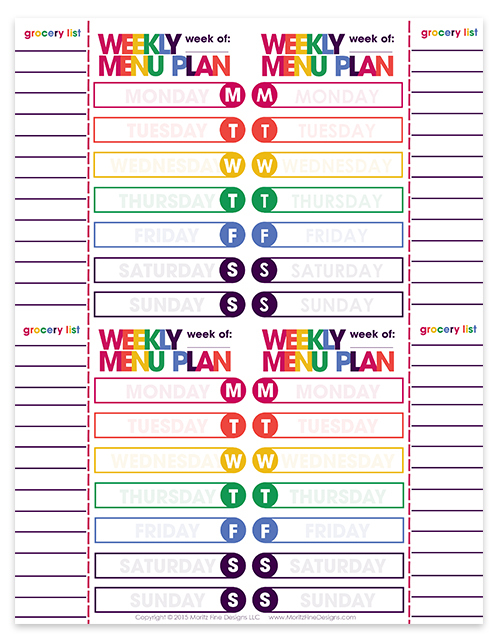 WEEKLY MENU PLAN: 3 Menu plan option pages included. 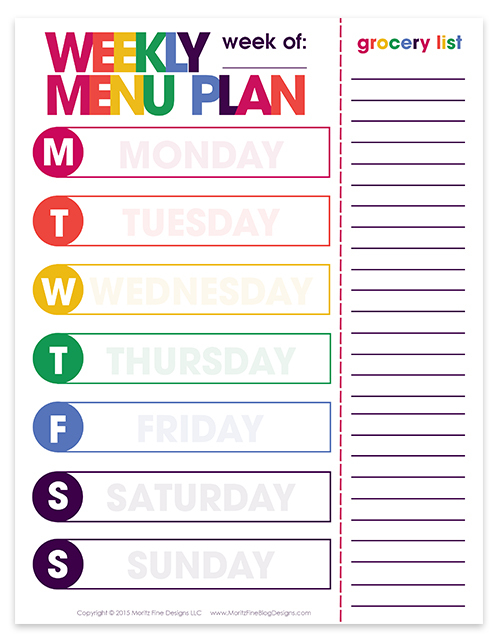 One to create your weekly menu for all meals. 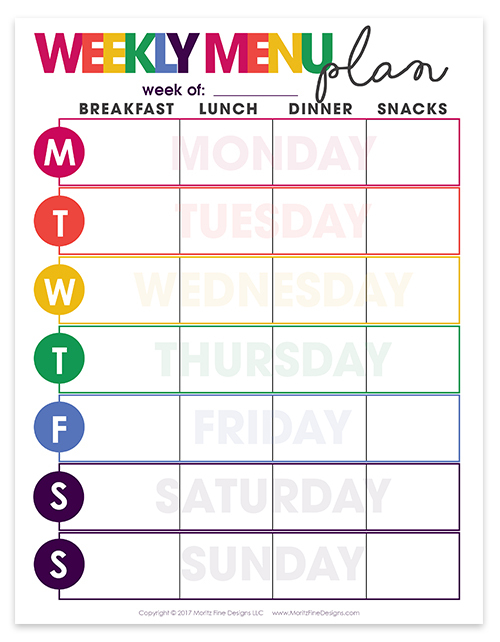 One to create weekly dinner options with tear-off grocery list. 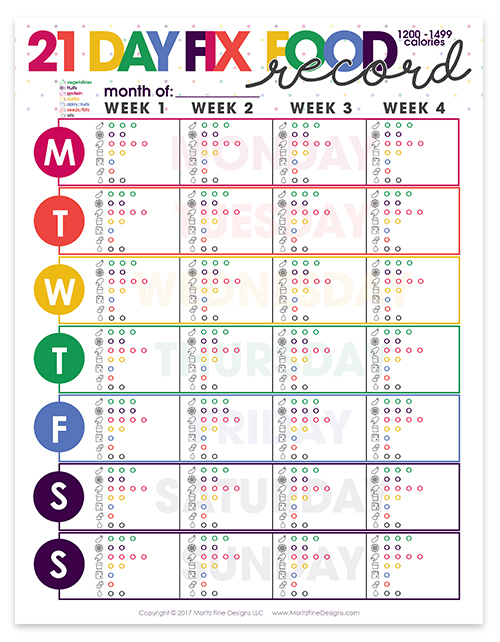 One to create monthly dinner options with a tear-off grocery list. 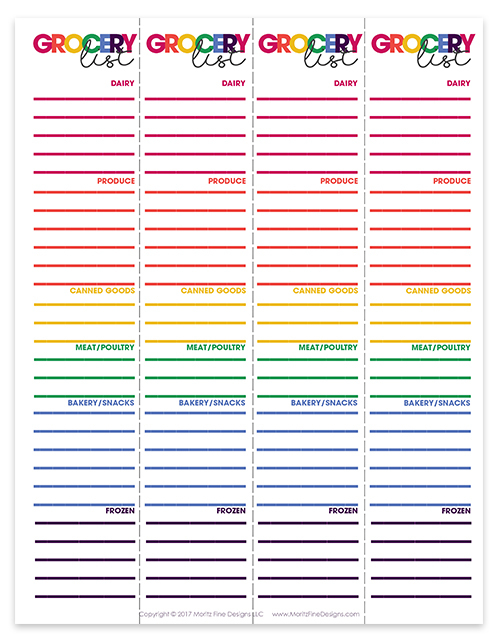 GROCERY LIST: A 4-week grocery list tear-off sheet. 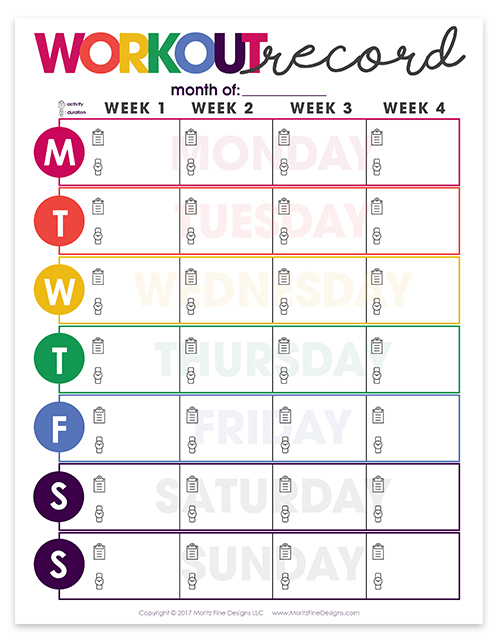 MONTHLY WORKOUT RECORD: This page allows you to track your workout activity and duration every day of the week. 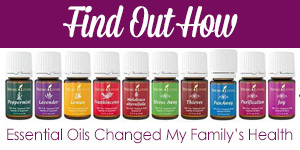 BALANCED FOOD RECORD: This page allow you to track your daily intake of food. 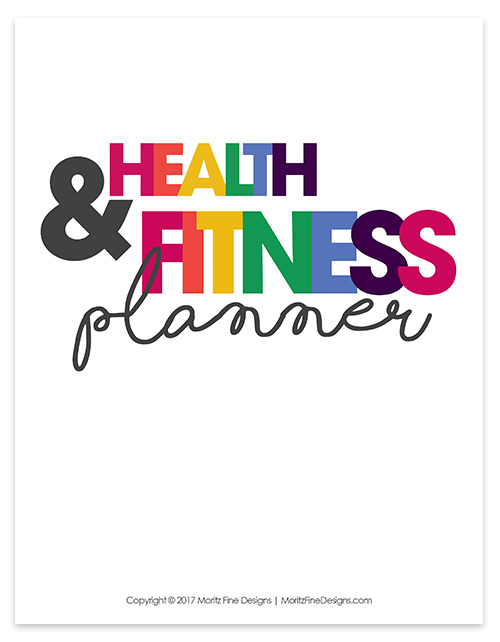 It helps you to monitor food from each group: grains, vegetables, fruits, dairy, protein and healthy fats. 30 DAY WATER CHALLENGE: Trouble getting in the right amount of water every day? 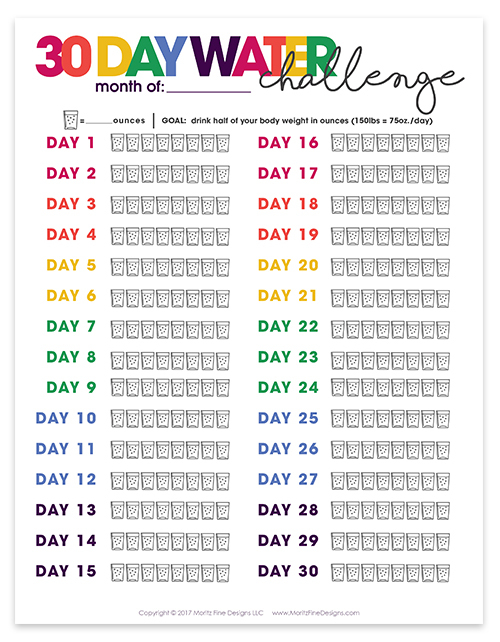 Keep track of your daily water intake with the 30 Day Water Challenge. 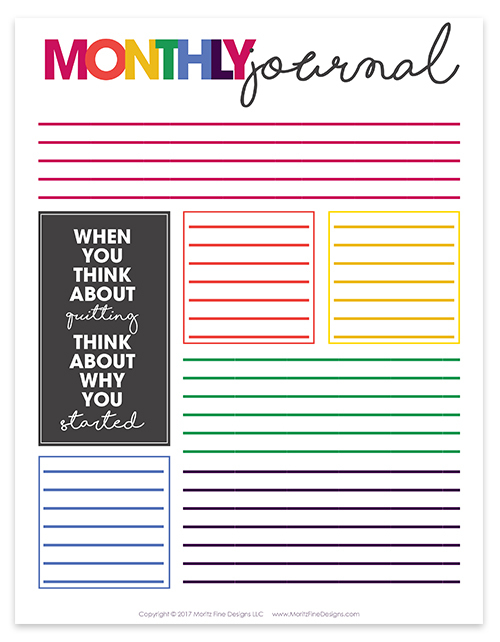 MONTHLY JOURNAL: Two encouragement journal pages to record anything you want: notes about workouts, set goals, recipes, etc. 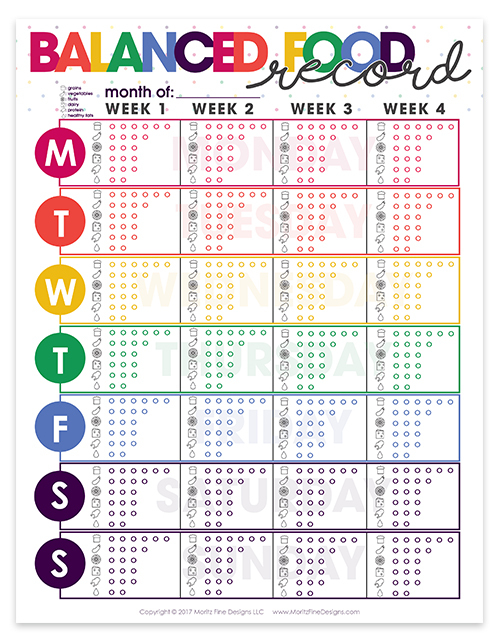 21 DAY FIX FOOD RECORD: This page allow you to track your daily intake of food according to the 21 Day Fix calorie recommendations. It helps you to monitor food from each group: grains, vegetables, fruits, dairy, protein and healthy fats. Please note, all calorie count levels are included.